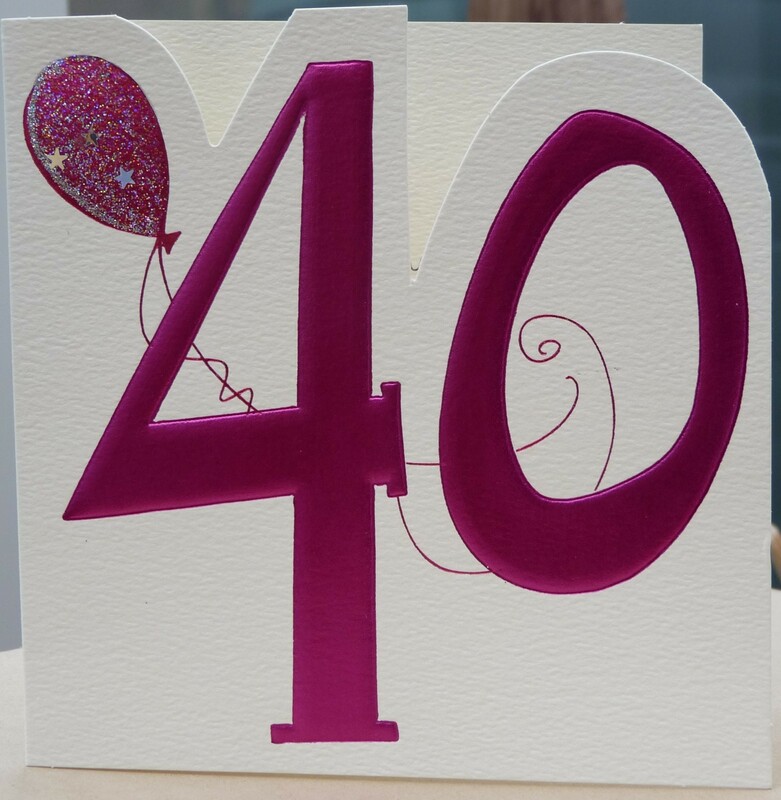 It was a great evening surrounded by friends and family (some friends I haven’t seen for 10 years), the food was great, the hall looked fab (but, predictably for me, I completely forgot to take any pictures) in it’s paper circle bunting and tissue paper pom-poms. 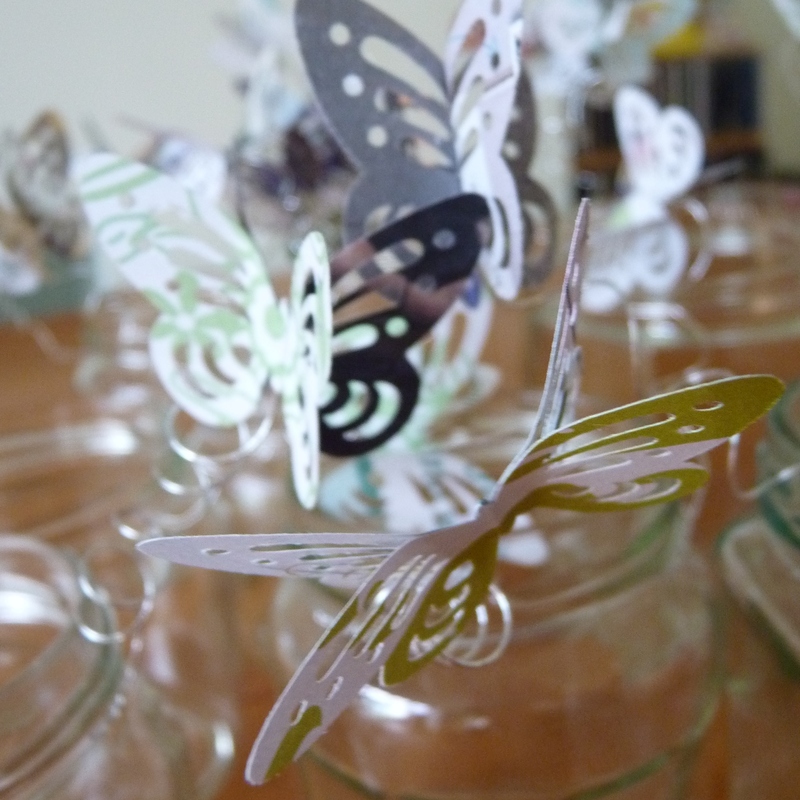 I decided against washi taping the jam-jars and instead made butterflies out of the leftover paper from the circle bunting (which I made way too much of, by the way!!). 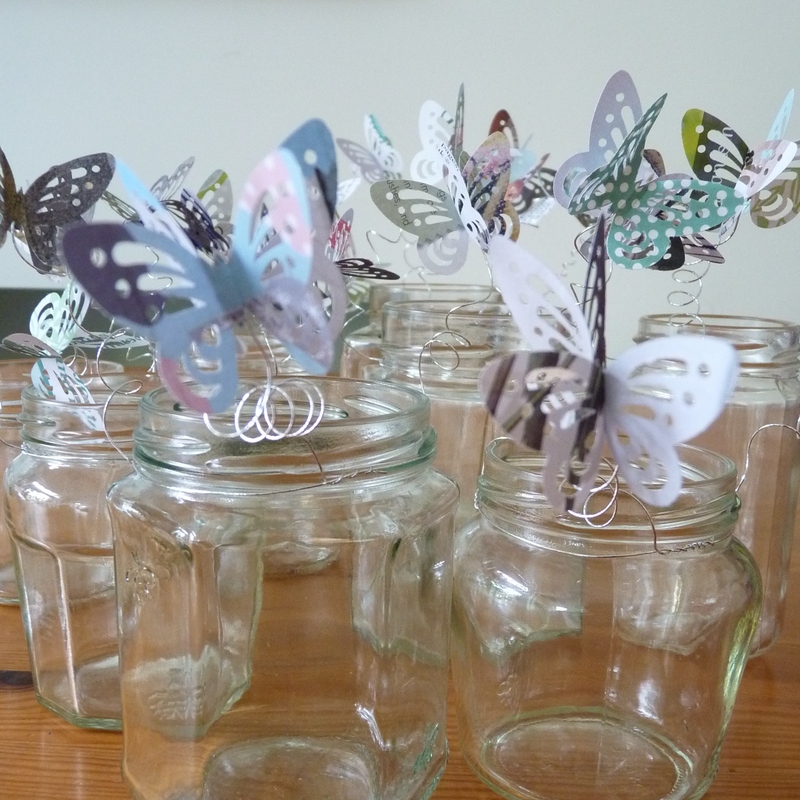 I attached the butterflies to the jam jars with thin wire and put 2 on each table, 1 with flowers and 1 with a tea light. Very pretty. 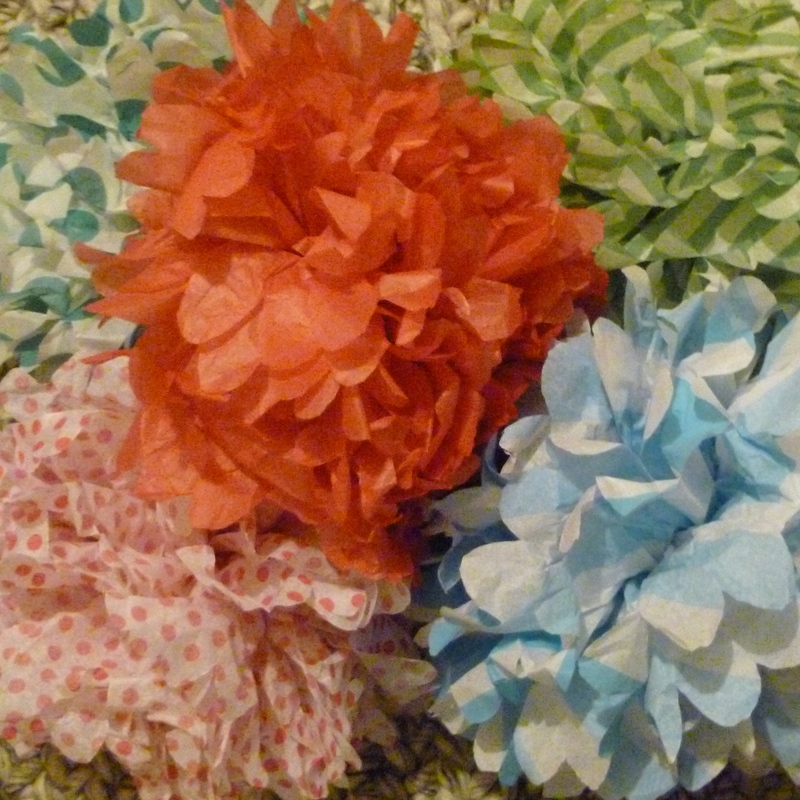 I eneded up making 10 pom-poms, have given away half since the party and so am left with just these fellas. 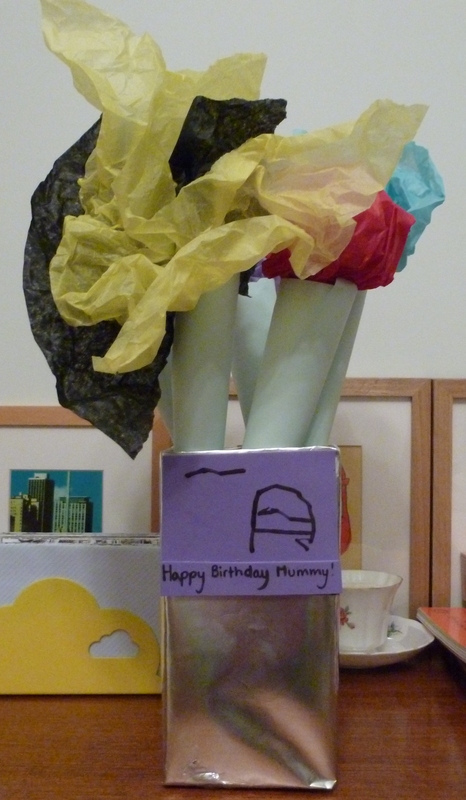 My house was filled with flowers, but the best by far were these that Niblet made for me at nursery. When he gave them to me I welled up. He has found that they also double as pretend ice-creams to sell to all the customers to his café!! 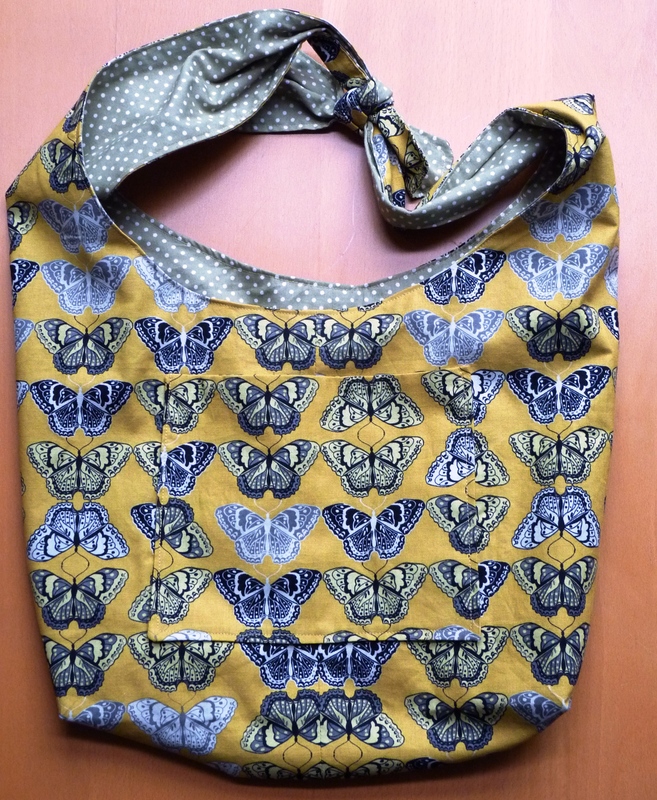 I had lots of lovely gifts, one of my favourite, and the only handmade gift, was this beautiful bag made by a friend of mine. How clever is she? It’s reversible too!! Since the party I seem to have been struck down by all manner of aches, pains, coughs and now a stinker of a sore throat. 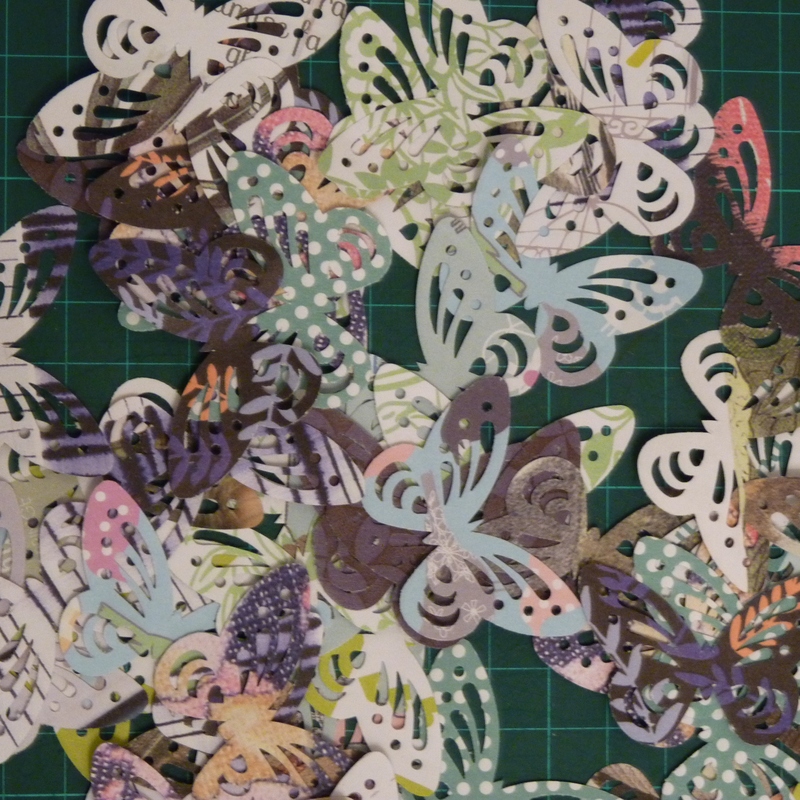 I have a craft fair in just over a week, but my creative juices also seem to have drained away. All my ideas are struggling to be successful. 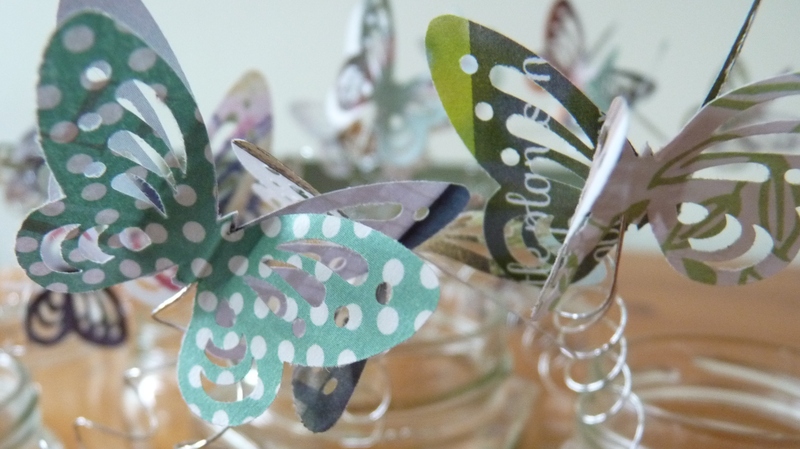 This entry was posted in making, photo-taking and tagged butterflies, flowers, paper circle bunting, party, tissue paper pom-poms. Bookmark the permalink.